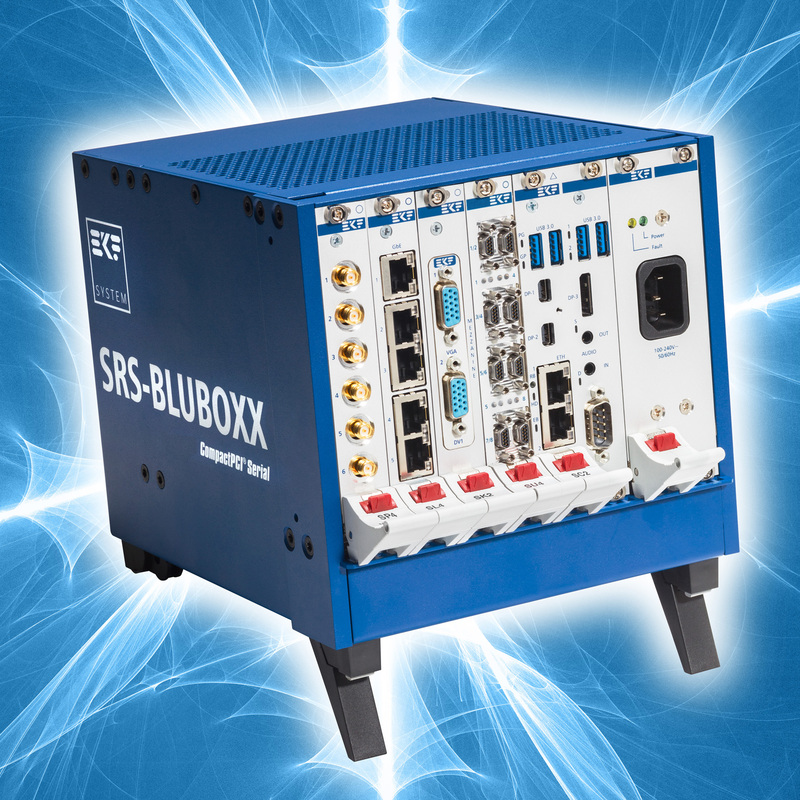 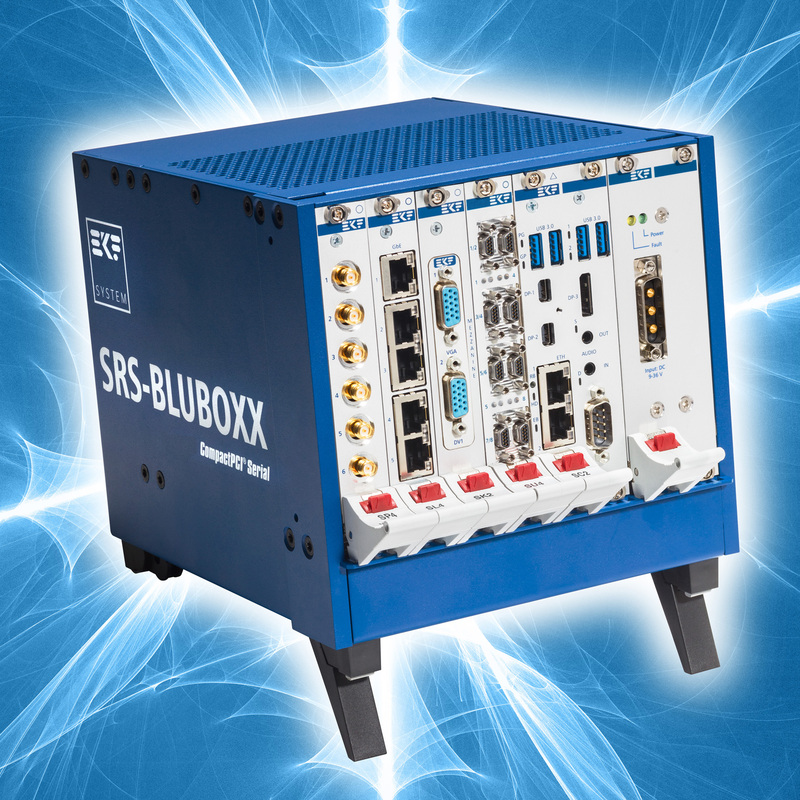 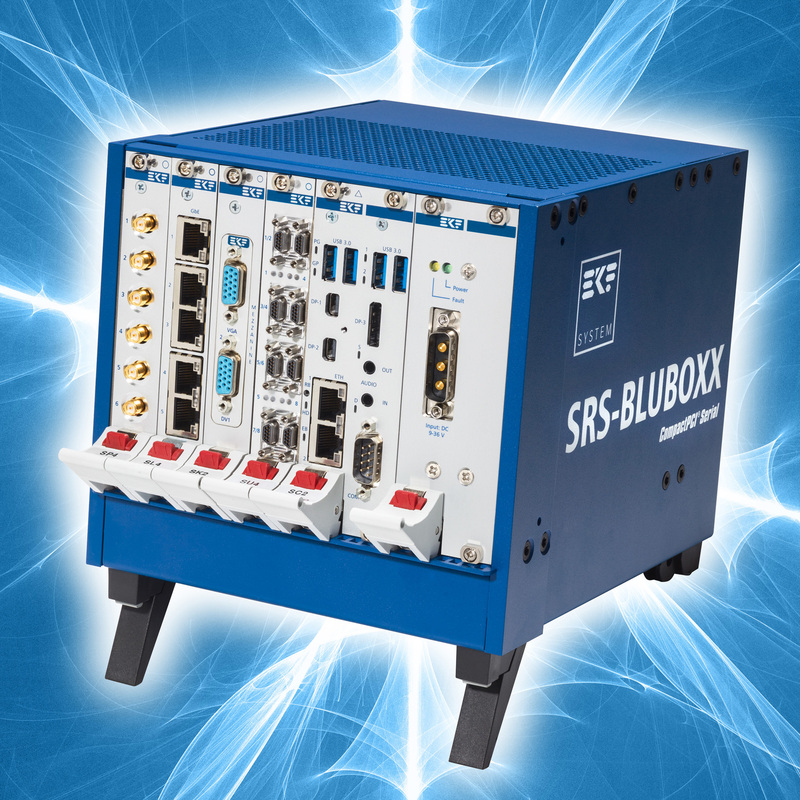 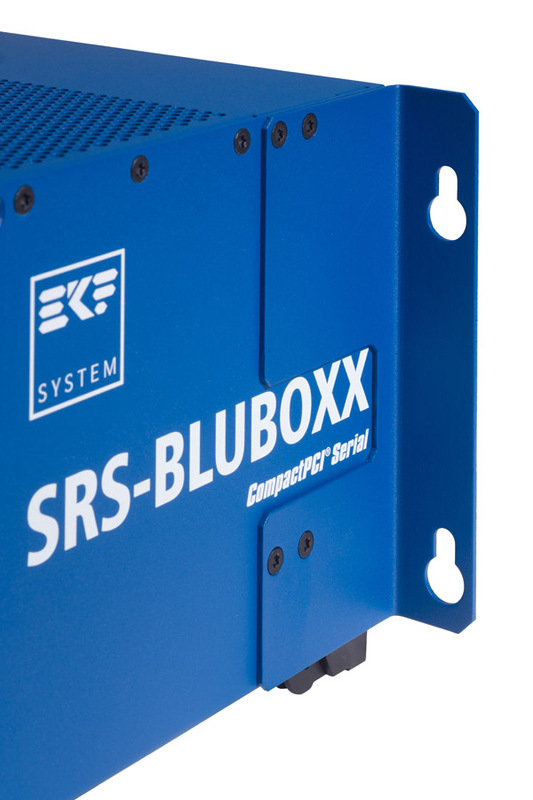 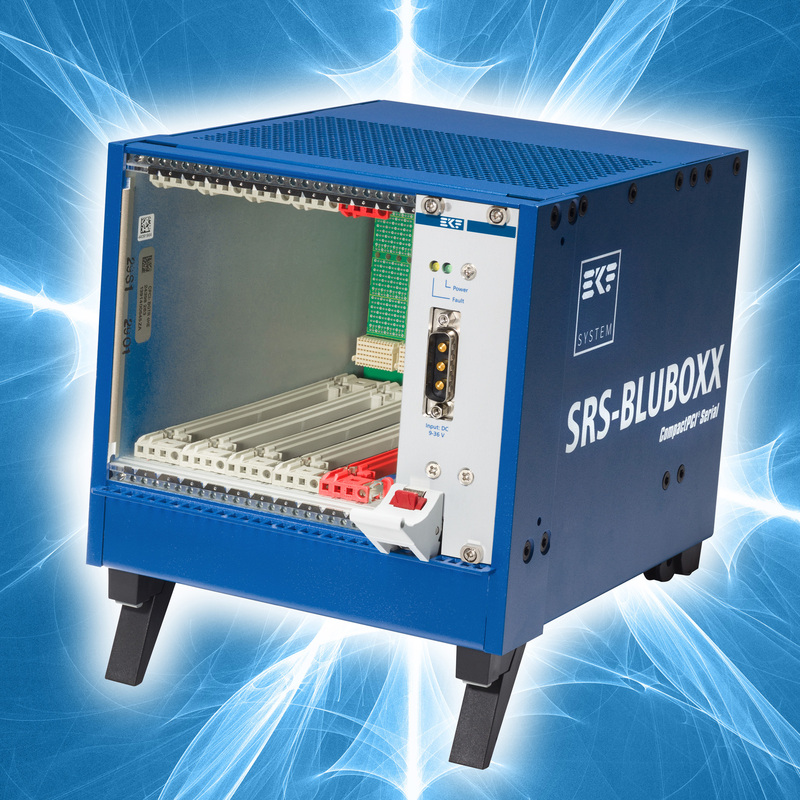 Rugged, versatile, economic - the SRS-3201-BLUBOXX series of miniature CompactPCI® Serial IPC systems from EKF is suitable for all industrial requirements, even under harsh conditions. 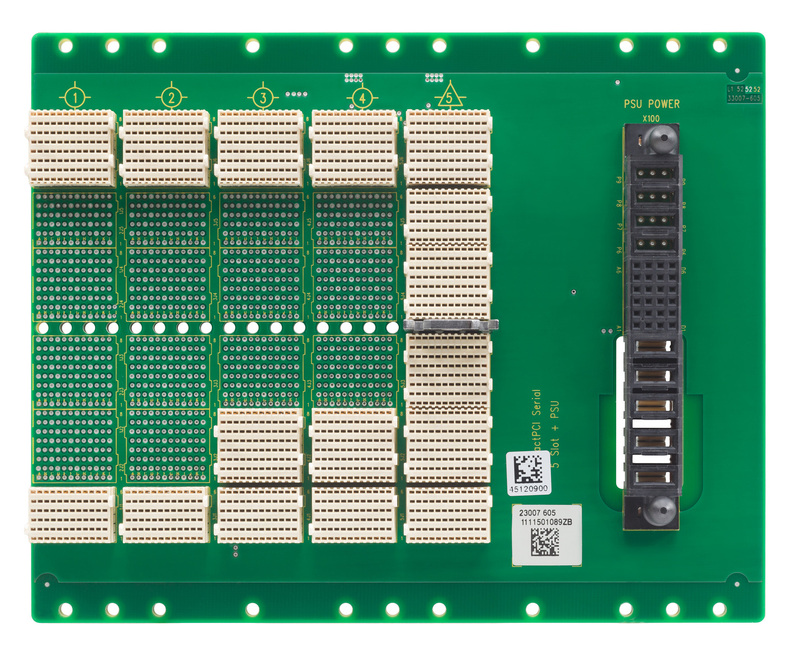 The small rack is built of high-quality 19-inch components. With its low dimensions of only 172mm x 168mm x 208mm (4U/32HP), the BLUBOXX provides space for up to five CompactPCI® Serial boards (single size Eurocard style). 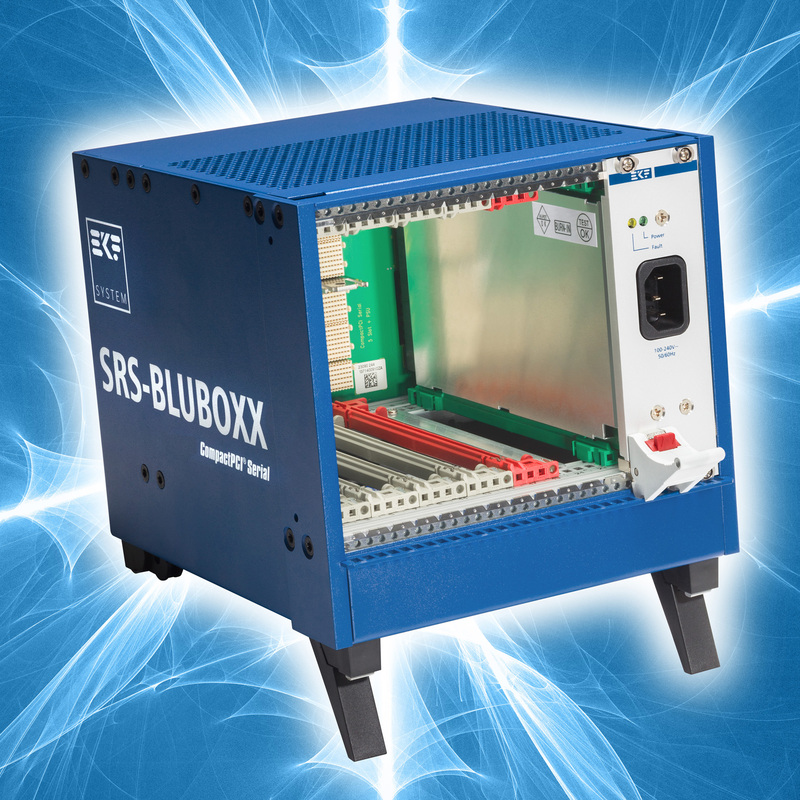 The BLUBOXX systems include a bottom mount fan unit and an industrial grade removable power supply. 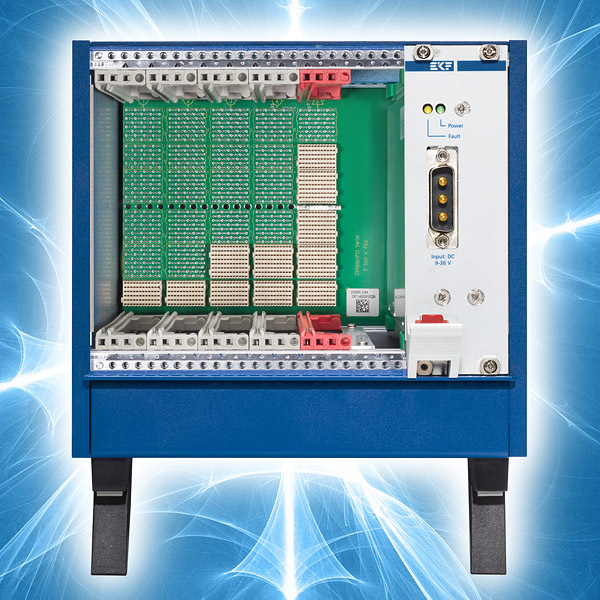 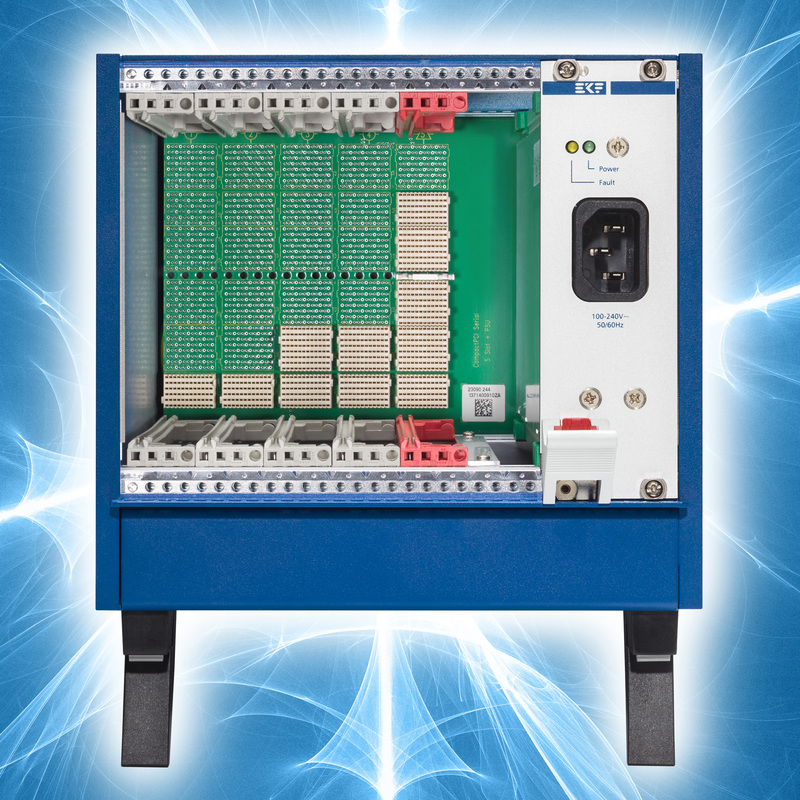 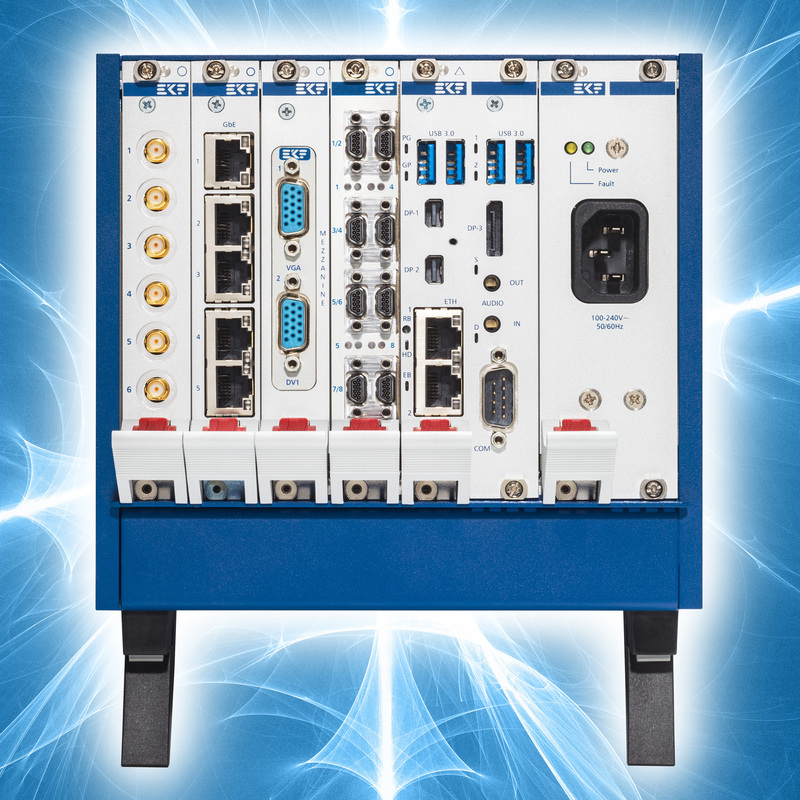 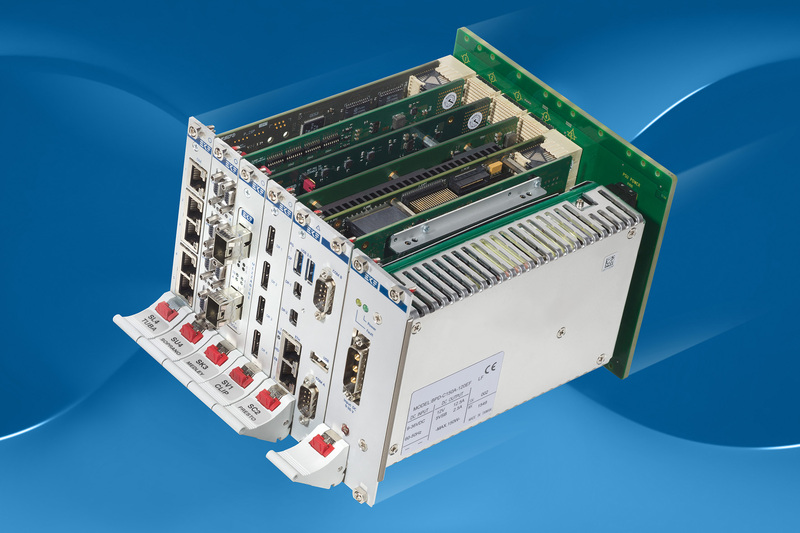 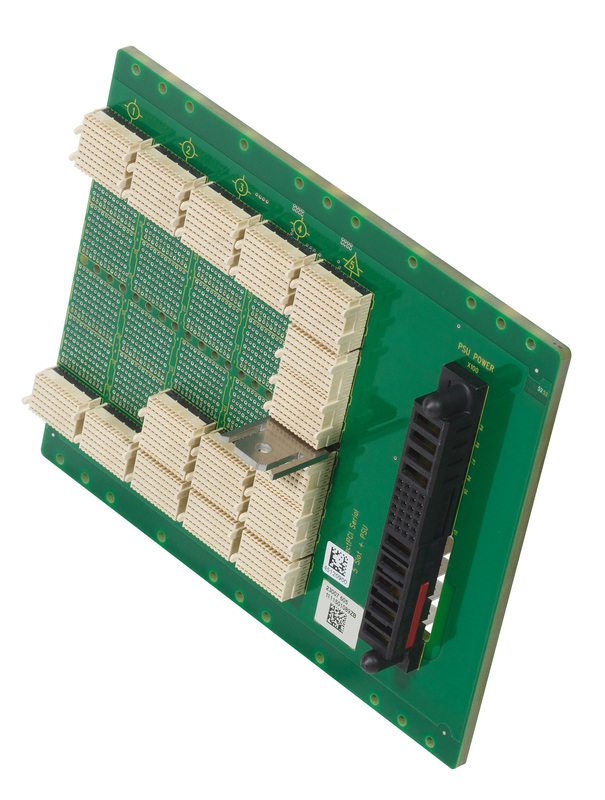 CompactPCI® Serial (CPCI-S.0) is a PICMG® standard for modular industrial computers, which provides high speed serial I/O (PCI Express®, SATA, USB, Gigabit Ethernet) over the backplane. 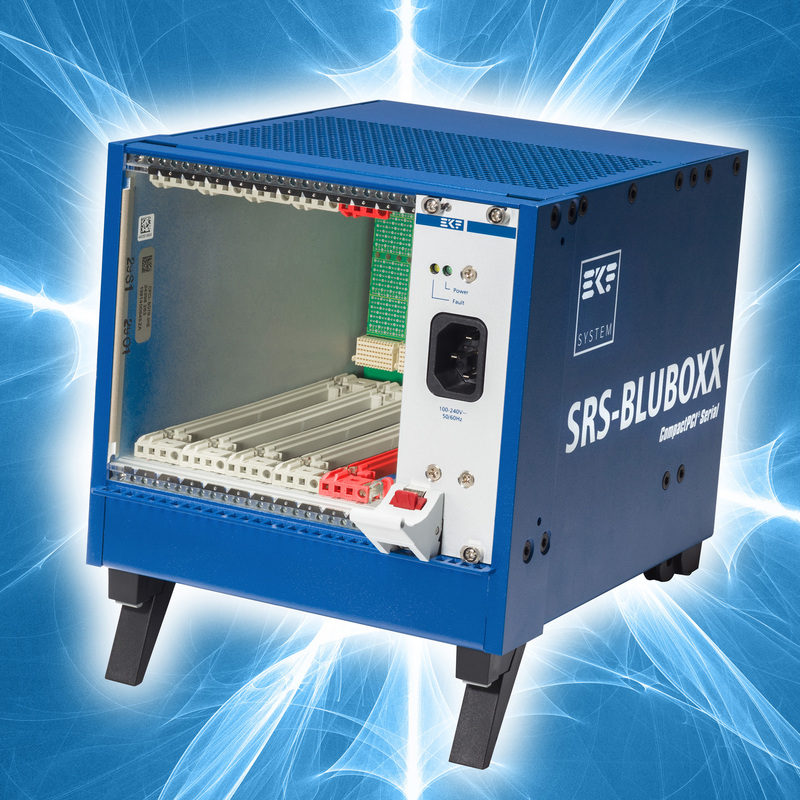 The SRS-3201-BLUBOXX rack is equipped with a 5-slot backplane. 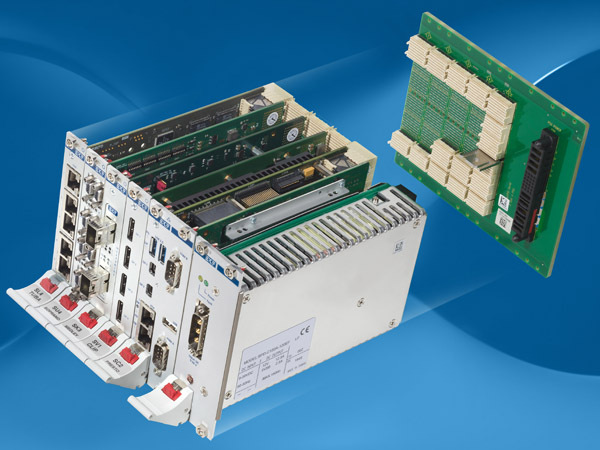 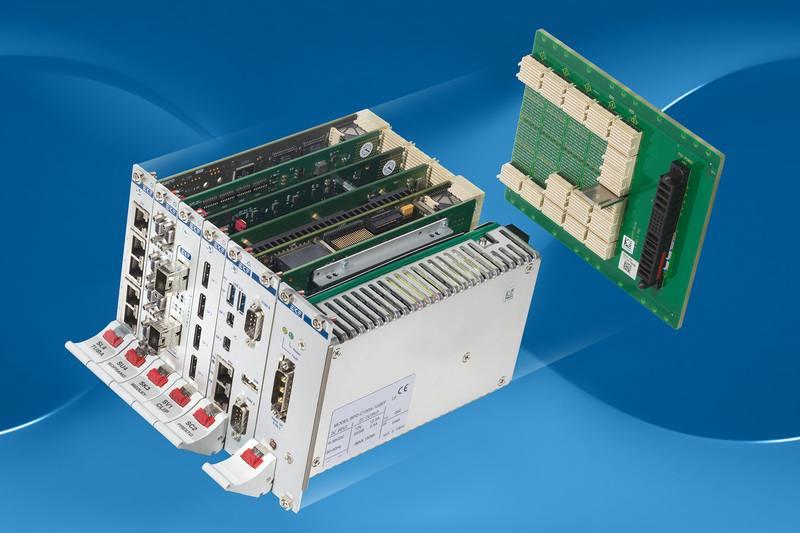 While the system slot is reserved for a CompactPCI® Serial CPU card (4HP or 8HP front panel assembly width), two fat pipe peripheral slots (PCIe x 8) and another two standard peripheral slots are available for I/O cards and storage modules.